(2006/MUSIC MENTOR) Paperback, English, 15x23 cm, 348 pages, rare b&w illustrations; From a childhood spent among such key roots-music figures as Bob Wills and Big Joe Turner, Eck Robertson and Norman Petty and T-Bone Walker - and an extended strech as a jazz, blues, and rock & roll pianist and critic-historian of the popular culture - Michael H. Price has forged this frenzied chronicle of life among the denizens of the vanishing borderlands of Texas' indigenous-music scene. The basis of Price's extensive catalogue of stories originating in an ahead-of-its-time magazine called 'Texas Jazz'. Price's novel-like memoir emerges as a form of music in itself - a melodic racket of urgency, echoing and amplifying the passion of the artists involved to leave this Mean Old World a place noisier than they had found it! 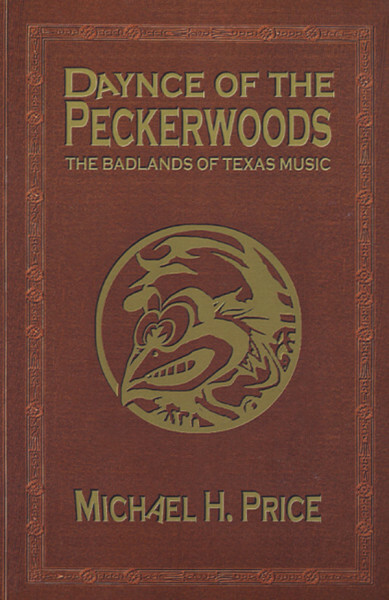 Customer evaluation for "Dance Of The Peckerwoods - Daynce Of The Peckerwoods"